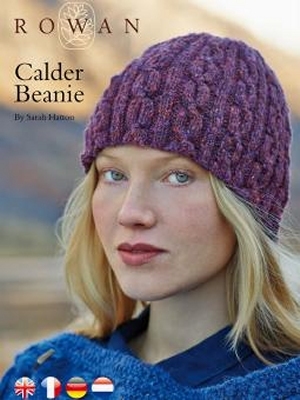 : Knit this unisex accessory hat from Rowan Knitting & Crochet Magazine 56 as an exclusive free download, a design by Sarah Hatton using the beautifully soft, traditionally spun Rowan Tweed. This pull on beanie has an all over cable and rib design. Size US 3 straight needles, US 6 straight needles, and a cable needle are required but not included. Gauge: 28.5 sts and 30 rows over 4"